Mamma Mia! Here We Go Again is hitting theaters this weekend, and if you’re reading this, chances are you’re already planning to skip unabashedly into the theater, fizzy soda and heart-attack bucket of popcorn in hand, ready to watch Amanda Seyfried twinkle and Pierce Brosnan fumble through two hours of bouncy ABBA fare. And with Cher joining the Mamma Mia sequel’s cast, how could you not love every minute? Cher plays the flashy Ruby Sheridan, a certified diva and oft-absent mother to Meryl Streep’s Donna, and grandmother to Seyfried’s Sophie. In the film she sings the classic “Fernando” with Andy Garcia, but she hasn’t gotten her fill of ABBA just yet: The iconic singer announced Tuesday on Today that she has recorded an entire album of ABBA covers. “It’s not what you think of when you think of ABBA because I did it in a different way,” said Cher in an interview with Today host Kathy Lee Gifford. Cher’s ties to Broadway are multiplying. 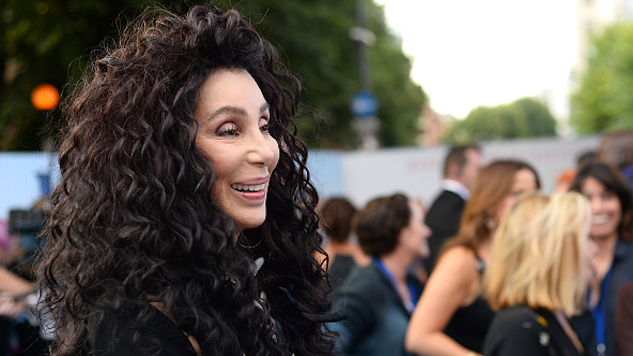 This fall, The Cher Show, a musical about Cher’s life, is coming to Broadway. Opening night at the Neil Simon Theatre is Dec. 3 in New York City. Mamma Mia! Here We Go Again is in theaters this Thursday. You can watch Cher deliver the big ABBA announcement and talk about her big moments in the film below.